Home / News Release / Member News: Redesigned Texas Parking and Transportation Association (TPTA) Website is Now Live! 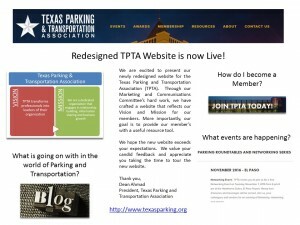 Member News: Redesigned Texas Parking and Transportation Association (TPTA) Website is Now Live! We are excited to present our newly redesigned website for the Texas Parking and Transportation Association (TPTA). 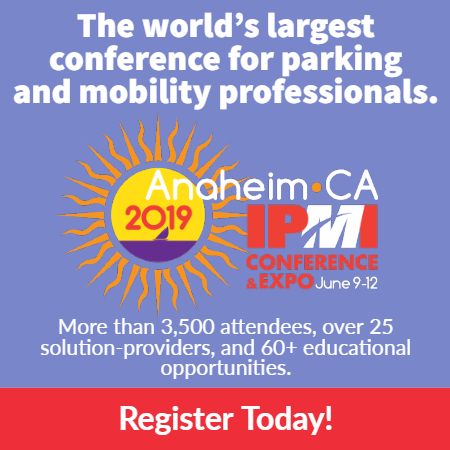 Through our Marketing and Communications Committee’s hard work, we have crafted a website that reflects our Vision and Mission for our members. More importantly, our goal is to provide our member’s with a useful resource tool. We hope the new website exceeds your expectations. We value your candid feedback and appreciate you taking the time to tour the new website.